Every author- Indie or Traditional- want to see their book sales increase. I'm mean who doesn't? None of us would really sit there and say "No...I'm ok with my sales..." Nope! Not even the top bestselling authors would turn down any tips to get their books to sell even more. Well, maybe not J.K. Rowling...she just might be the exception- I mean come on, who hasn't heard of Harry Potter? So how do you increase your book sales? Well, The Writer's Market (I just love this site) has an article that can tell you just that. Robert Lee Brewer said these four essential things will put you in the right direction. 1.Write a great book -Well, that's a given. You cannot sell something without something, right? Need a book to sell a book, correct? So write your book. Write a great book. "A great book will hook readers from the opening page. A great book will keep readers excited all the way to the finish. A great book will make readers feel that they’ve got to share this book with anyone and everyone they can." 2.Publish your book- Self- publish or start submitting to publishers- Writer's Market can help you with that too. 3.Share your book- Doesn't mean just give it to anyone. You'll want to share it with others that will impact your sales and Goodreads is a great way to do just this. After all this is what Goodreads says about itself-"Goodreads is the largest site for readers and book recommendations in the world. We have more than 12,000,000 members who have added more than 410,000,000 books to their shelves." 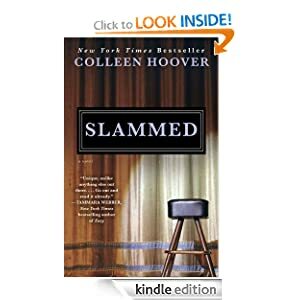 And using this site helped author Colleen Hoover get her book- Slammed-out there to readers. Today her book is currently ranking at #813 in the paid Amazon Kindle store. Paper back- #2,630. Not to shabby, I would say. How did she do it? How did Goodreads help her? She gave away her book. By running a pair of Goodreads giveaways (only cost is to mail out your book-cannot do ebooks) she was able to put her book in the hands of readers looking for the type of Genre her book falls into and then with the reviews they left and thank to Mavens, over time, her book reached more readers and sold more copies. "Mavens- are the people who, once they discover something they love, just can't resist evangelizing about it." Click HERE to read more of the article telling in more on how you can find your audience from scratch. So write your greatest story, put it out there, promote, give, help and most of all good luck! Thanks for the drop by!